The Liberian constitute a cluster of people groups who migrated from Liberia, a country as varied and diverse as the people who have historically settled it. They consist of people groups who primarily speak one of three language groups: (1) Golan language, (2) Mel languages (particularly Kissi) in the east, and (3) Kru languages (particularly Bassa) in the west. Many are also fluent in English. 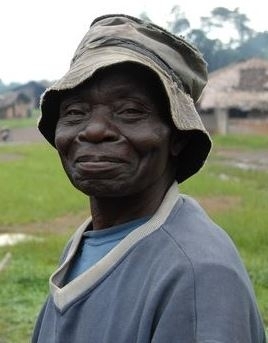 A few of the largest Liberian people groups which might be in North America include (1) Kpelle, (2) Bassa, (3) Mano, (4) Kru, and (5) Dan Yakuba. Their religious adherence is dependent upon their specific people group identity. The majority (around 85%) of Liberian people are Christians with a large percentage being from a Methodist background. A smaller percentage (around 12%) of Liberian people are Muslim. Pray Christians who encounter Liberian people will take time to learn the specific people group identity, language Liberians speak, and religion Liberians adhere. Pray God will send Liberian Christians with a passion for intentionally engaging the leasted reached people groups sharing the message of Christ and planting churches.